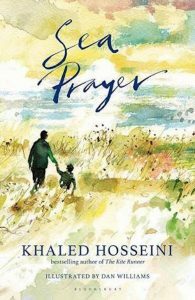 Sea Prayer is the latest literary masterpiece by one of our favourite authors, Khaled Hosseini. It is a heartfelt tribute to all the people in war-torn Syria where they have forgotten how to go about their lives. They have forgotten what it feels like to live without tragedy impeding their routine and bombs dropping everywhere like rain drops from the sky. Unlike Hosseini’s other books, it is not a full-length novel about the curious play of one’s test of grace and grit in life. It is a heart-touching collection of beautiful illustrations themed around loss, perseverance, grief and acceptance of life. not being how it once was – normal. ‘Normal’ is a word that Syrians can’t relate to anymore. Their lives have been uprooted completely. Made in to a seemingly endless blur of death, tragedy and loss. Then repeat. Yet, they go on trying to make sense of it. They try to salvage what little traces of normalcy still remain unscathed. 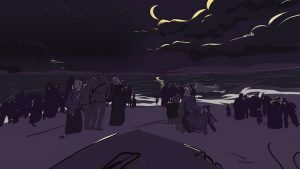 With sensitively crafted illustrations, Hosseini pays homage to the 4, 176 unfortunate souls that attempted to flee a war-torn country via sea but lost their lives in the act or went missing. 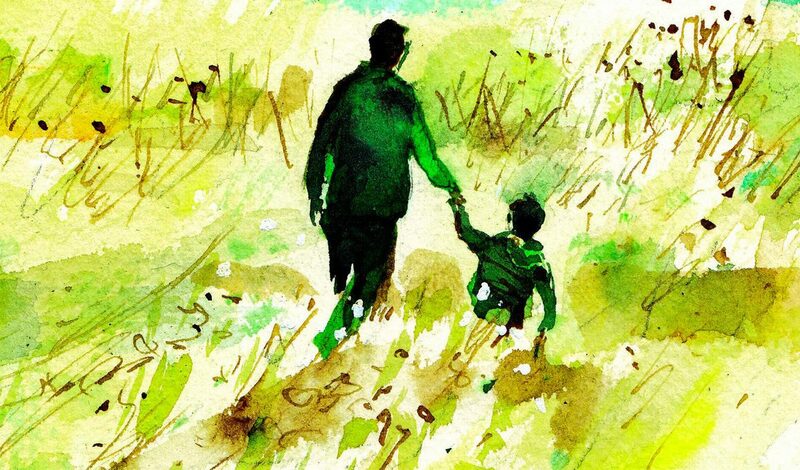 Out of those, a three-year old child, Alan Kurdi —who made millions cry at the image of his washed-up dead body appearing at the shore among sea foam and forlorn waves— inspired the author most of all to pen his thoughts as Sea Prayer. While reading this, you will stumble upon heartbreaking tales of death and loss. Yet, you will see a show of sheer courage in face of unbelievable tragedy. It will undoubtedly warm your heart. The people of Syria (and that of every persecuted region), believe that ‘Tomorrow Shall Be Better’. This hope against hope is what keeps them and the rest of us keep going.